R&R Lotion - Tip-2 - Tin Tinner - Used for Large Surface Mount Removal Tools. 1.5 oz. 2 inch Diameter. Lead Free. No Halides - Residue Free - ESD Safe - Rosin Free - Environmentally Safe. 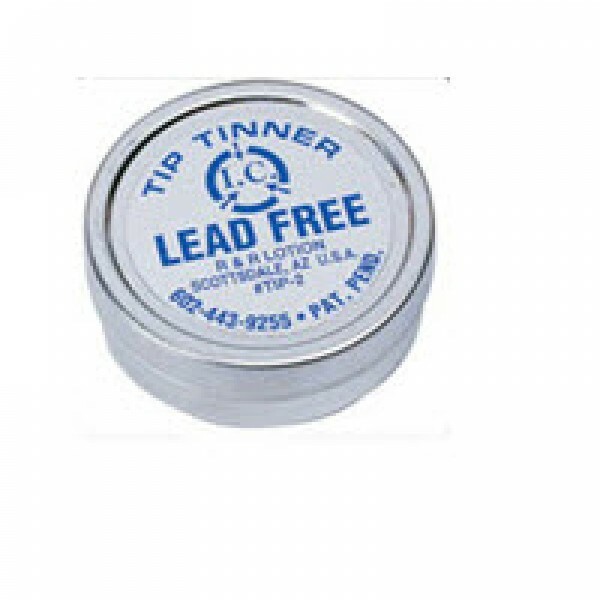 All major Manufacturers of soldering tips have one thing in common - they all recommend that you "TIN YOUR TIPS". I.C. 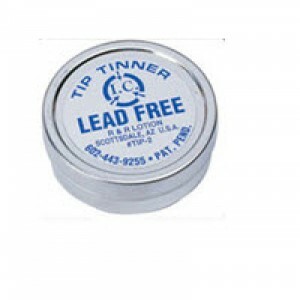 Lead Free Tip Tinner has been formulated to prolong tip life for the harsh environments of the No Clean and Water Soluble Fluxes.